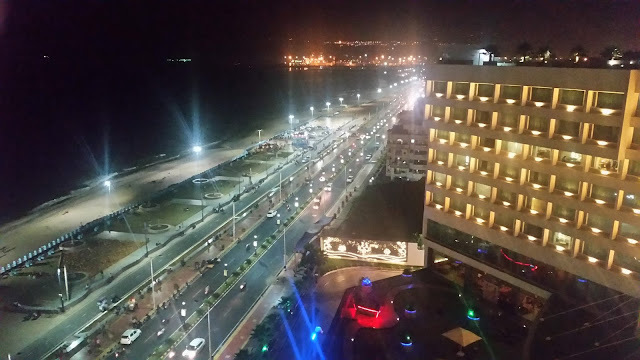 The main beach near Swargadwar is quite a happening place. Apart from stalls selling seashells and a variety of other things, quite a large number of temporary stalls spring up every evening selling fried fish from the fresh catches from the sea. 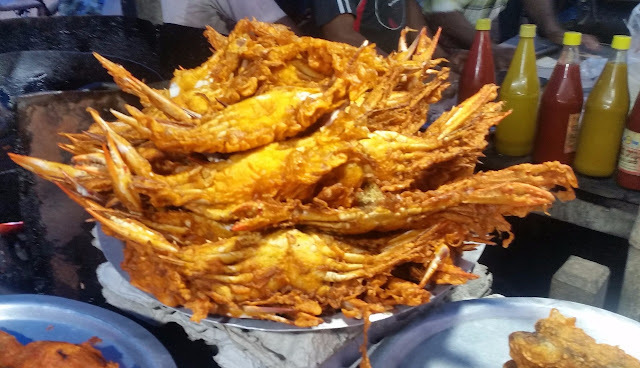 The variety is mind-blowing, each shop has at least ten types of fish, including prawns and crabs. You can choose your fish, and it will be sprinkled with salt and doused in your pick of marinade before being deep fried. 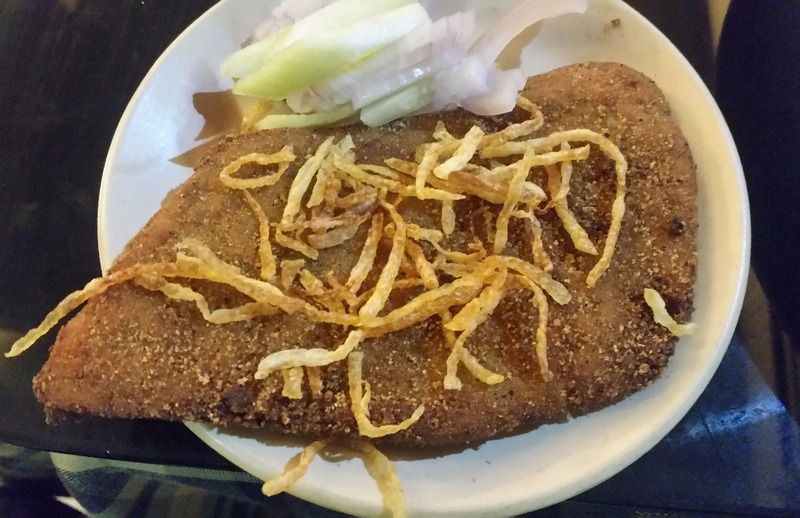 A red-coloured besan based marinade seemed to be the most popular, though my favourite was one with a dash of salt, turmeric and a little cornflour to add a little crunchiness. 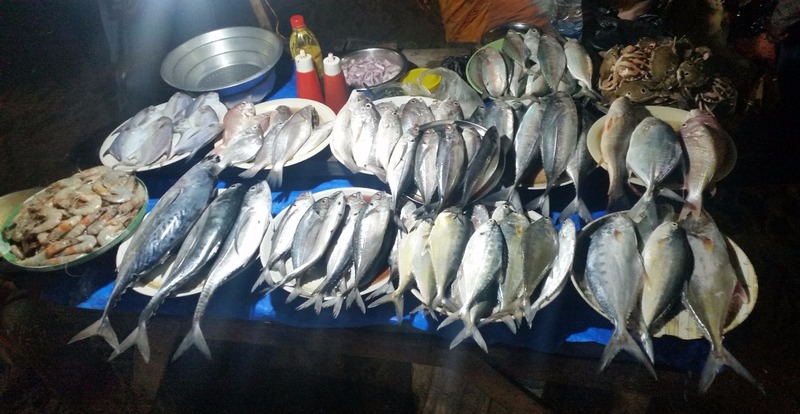 Over the three days, I was there, I tried a variety of fishes, but the Pomfret (priced at Rs 80 per fish) was the best of the lot. Medium sized prawns, slightly sweet in taste, were not far behind either. For the vegetarians too, the beach has a lot of choices. There are mobile vendors selling sweets. 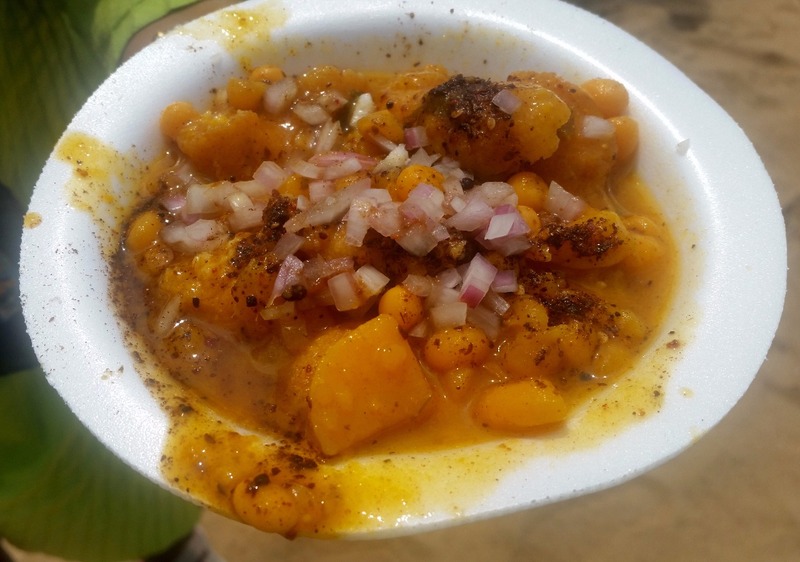 Some with cycles sell the Odia favourite Dahi Bada Ghughuni Alu Dam. You can also feast on hot Poori Sabji. A stone’s throw from the beach, inside a lane next to Puri Hotel, is Bhojohori Manna, a branch of the Bengali restaurant chain from Kolkata. Though the menu here has almost all their popular dishes of mutton, chicken and fish, we were advised to try out the fresh fish dishes. 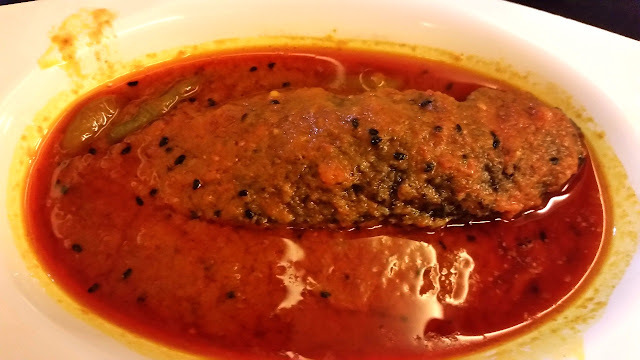 Over the three days, we really feasted out here – some distinct preparations were Tel Koi (Koi fish cooked in a rich and oily gravy) and Chingri Machher Kalia (fresh prawns in an onion based curry). Chitol Macher Muitha (curry of boneless chunks of Chitol fish) was a miss, whereas Bhetki Paturi (boneless bhetki fish steamed in masala inside a banana leaf) was mouthwatering. 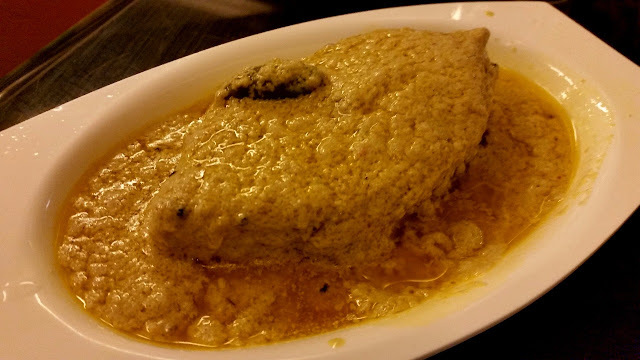 To top it all, there were Hilsa preparations – Borisali Ilish and Ilish Bhapa, both mustard based preparations, one spicy and the other more subtle. 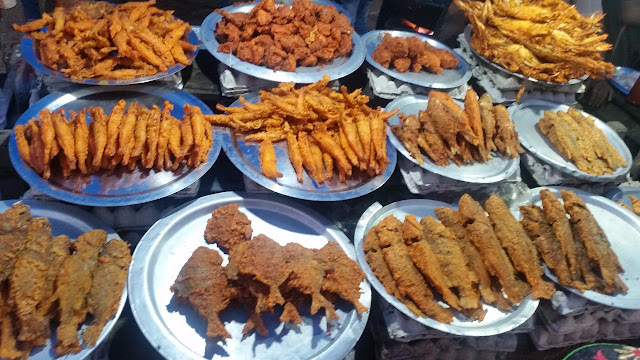 Sometimes we dropped in here just for the snacks – Mochar Chop, Chingrir Cutlet or Rangpuri Bhetki (fish fry). I have had food at Bhojohori Manna locations in Kolkata and Bangalore, but the food in Puri was consistently good over three days. 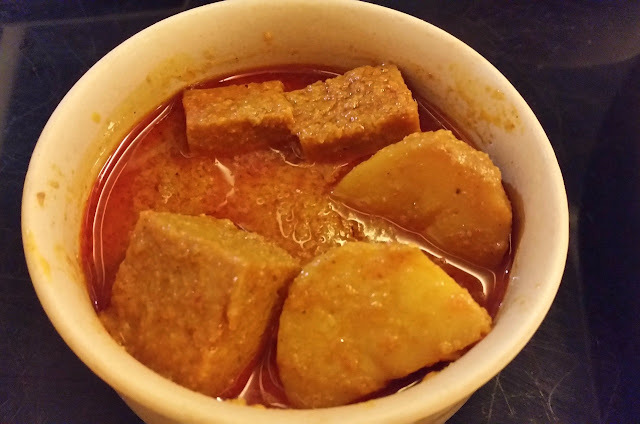 Wild Grass Restaurant near Subhash Chowk is acclaimed for their Odia food. Though Puri has a branch of the well-known restaurant chain Dalma, I was told that Wild Grass presents the cuisine of the Puri area and must be tried out. We paid a visit on a rainy afternoon. While my wife ordered a Pakhala Bhat spread, I went for a Fish Thali. 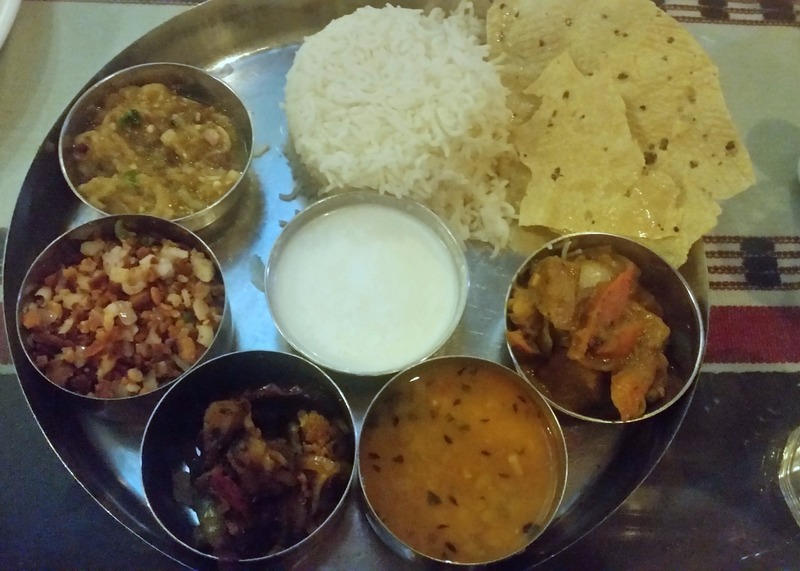 Pakhala Bhat is a popular dish from rural Odisha of rice soaked overnight and is served with a range of vegetables. The rice broth here was served with a range of accompaniments – badi chura, alu bharta, baigan bharta, tomato bharta, mixed vegetables and a cauliflower masala. We loved the dish where most of the stuff was tasty, though I would have loved a few bhajas (fried vegetables) in the combo. The thali I ordered had quite a few vegetables which were common. Badi Chura, where fried and crushed lentil dumplings are served in onion, green chillies and masala was the pick. 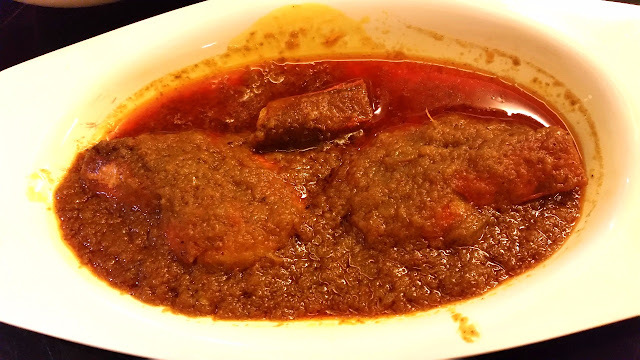 The Rohu fish curry served was not up to the mark – the onions in the curry was underdone, which was a bit of a spoiler. Wild Grass has a very nice ambience. 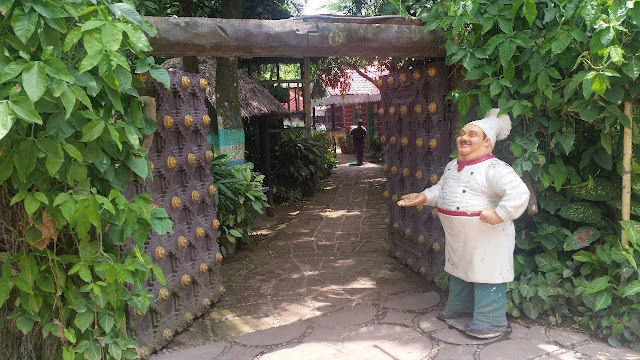 The restaurant is full of greenery, and has lots of outdoor seatings, mimicking rural Odisha. 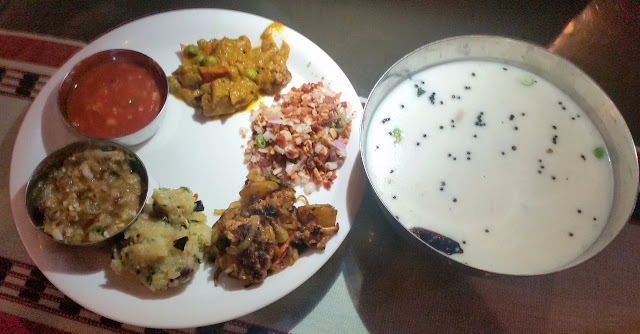 The menu also makes interesting reading – Ghee-Aarna Mutton and Hing Kachudi with Besara Dahi Baigan from Puri area, as well as Sorisa Parshe Macha and Crab Masala from Chilka are some of the dishes which got me interested. No visit to Puri is complete without trying out Khaja – the sweet which is loved by Lord Jagannath. Narasingha Sweets near the southern gate of the temple is famous for its Khaja for decades now. Now there are many shops which have the same name – a local street vendor pointed out the original shop to me. 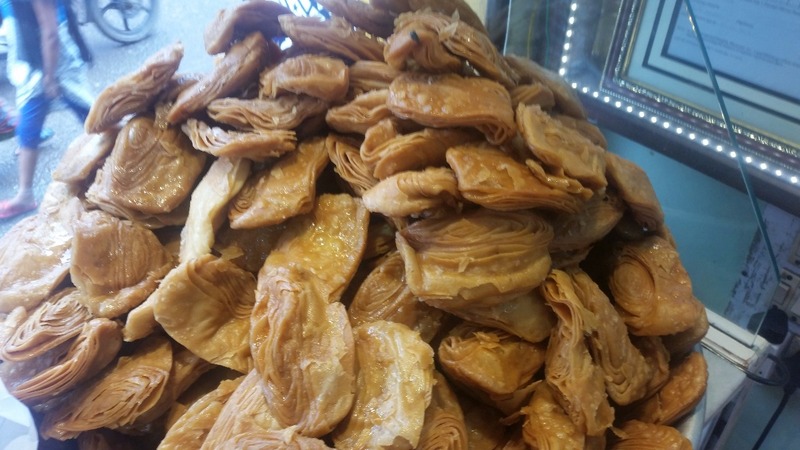 They sell many versions of khaja, a layered sweet made of rolled wheat flour and doused in sugar syrup. 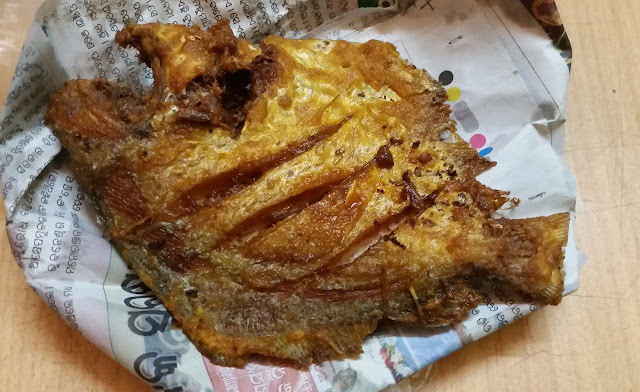 The one fried in ghee costs Rs 300 a kilogram and is absolutely delightful. Another place which we had on our radar and visited on the last day was Batamangala. Next, to the temple, there are about three sweet shops which make tasty Chhena Jhili, a very soft fried sweet dunked in sugar syrup. The sweet here is priced at an unbelievable Rs 5 per piece. 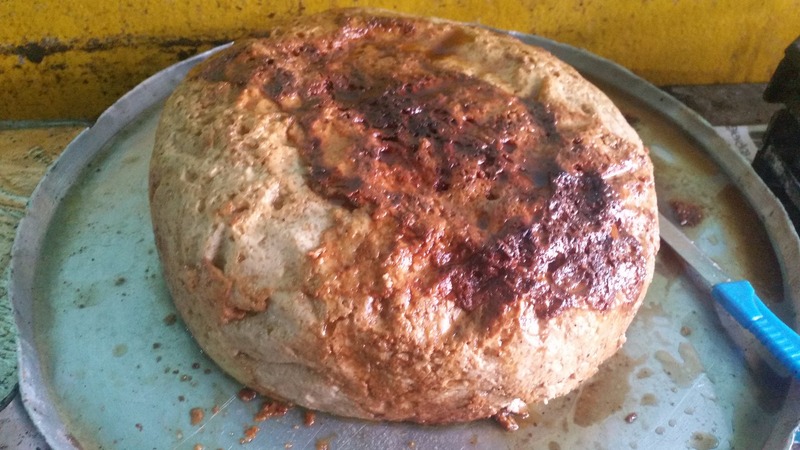 The shops also make Chhena Podo, a signature Odia cheesecake. Though the Chenna Podos here is quite satisfying, they are not as good as the originals available in Nimapada. 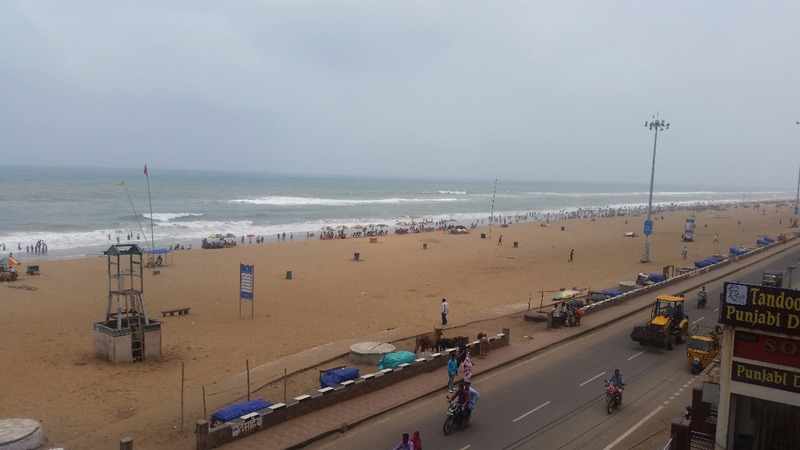 A visit to Puri need not just be the darshan of Lord Jagannatha or a relaxed evening at a beach. For a food lover, it can be a delightful journey into local delicacies.